The Taliban released 17 Shi’ite Hazaras who were hauled out of their bus and kidnapped in northern Afghanistan this week, officials said on June 3. 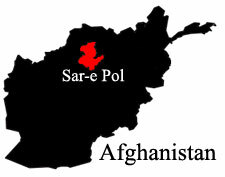 The incident in Sar-e-Pul Province was one of a spate of attacks against civilian vehicles, suggesting the Taliban is taking a more aggressive posture since naming a new leader last week. Provincial governor Zaher Wahdat said local elders and residents mediated the safe release of the hostages, who were all civilians. The Taliban has so far not commented on the incident. There has been a surge in violence against Hazaras, a community that has suffered a long history of oppression in Afghanistan, with a series of kidnappings and killings in recent months. The latest incident came after after the Taliban killed at least 10 bus passengers, many of them summarily executed, and kidnapped dozens of others in northern Kunduz Province earlier in the week.